QuestCare’s staff includes board-certified physicians, and the clinic’s affiliation with leading area ERs facilitates seamless patient transfers and rapid access to specialists, if necessary. Dr. Vasquez is a Family Medicine physician who graduated from the University of Santo Tomas in Manila, Philippines. She completed her Family Residency at Presence Saints Mary and Elizabeth Residency Program (Formerly St. Elizabeth’s Hospital Residency Program) in Chicago, Illinois in 2006. Upon completing her program, she worked as a Primary Care Physician, treating patients of all ages from Newborn to Geriatric in both inpatient and outpatient settings. She has treated both acute and chronic medical issues and has covered a wide variety of cases. She is also an advocate for Preventive Medicine for all ages. In 2014, she moved to the North Dallas area to be closer to her family and has been a part of QuestCare since then. 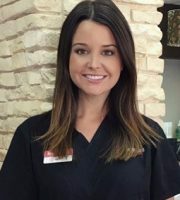 She currently works at QuestCare Urgent Care as well as the Questcare Medical Clinic in Melissa, Texas where she is a Primary Care Physician. 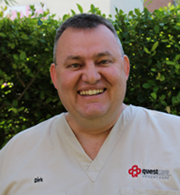 Originally a native of Germany, Dirk came to QuestCare Urgent Care in 2011 after a 21 year career in the United States Air Force where he served as a medic, and retired at the rank of Master Sergeant. Dirk spent 3 tours in Iraq with multiple medal and commendations. He is a graduate of Texas State College and Community College of the Air Force where he majored in Applied Health Sciences and received his paramedic degree. Dirk has a variety of medical experience including inpatient, acute care, intensive care, and pediatrics, spending 11 years of his post-military career working in the emergency department of Medical City Dallas Hospital. Kelly is a board certified Registered Nurse and Clinical Supervisor of QuestCare Urgent Care. She moved to Texas from Minnesota in 2003 to pursue her career in nursing. Her clinical expertise includes pediatrics, family practice, neurology and urgent care patients and families. She attended Ridgewater Community College where she received her Certified Medical Assistant degree in 1998. 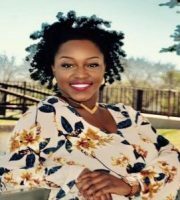 Kelly is a 2015 graduate of ElCentro Community College in Dallas and is currently seeking her Bachelor of Science Degree in Nursing. 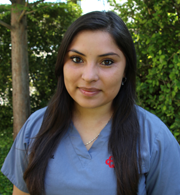 Maria Maldonado, born and raised in Dallas, Texas, joined QuestCare Urgent Care in January 2011. Maria gained valuable clinical experience in an internal medicine clinic prior to joining QuestCare Urgent Care. Maria graduated from PCI health training center as a Medical Assistant in 2010 and is bilingual in English and Spanish. Ashley Angelucci Maraffa is a 2012 Physician Assistant graduate of Gannon University in Erie, PA. She has experience in Emergency Medicine, Plastic Surgery and Urgent Care. 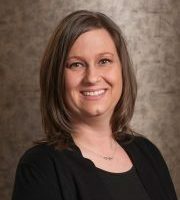 She has been with QuestCare Urgent Care since 2013 and enjoys working within the University Park community. She enjoys working through complex complaints, suturing lacerations and educating patients on wellness and preventative medicine. She is originally from Pittsburgh, PA, but now resides in McKinney with her husband, 1 year-old daughter Sienna and 2 rescue dogs. Nicole joined QuestCare Urgent Care in 2015. She was born and raised in Mandeville, LA. She received a Bachelor of Science in Nursing from The University of Louisiana at Lafayette in 2014. She spent a year working in the emergency department of Our lady of Lourdes. She also gained experience in pediatric oncology, while working at Children’s Hospital, in New Orleans, Louisiana. Nicole now resides in uptown Dallas with her Golden Retriever, Henry. In the future she hopes to take her career to the next level and pursue a Master of Science in Nursing. Jasmine is a Registered Radiologic Technologist. 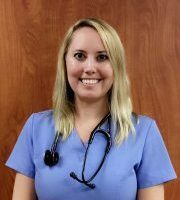 She graduated from Midwestern State University in 2017 where she gained clinical experience in patient care and received her Bachelor’s in Radiologic Sciences. Jasmine is from Fort Worth, TX but she joined QuestCare Urgent Care in October 2017. She enjoys educating patients about x-rays, being a helping hand wherever it may be needed and mostly making sure all patients are satisfied with their visit. Sataira is a Michigan native, who moved to Texas from Ohio in 2009. She attended Ross Medical College in Sylvania, OH, where she received her Degree for Registered Medical Assistant. 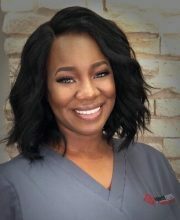 Board certified and registered through American Medical Technologist (AMT), her experience includes two years in the ER Department at Medical City Dallas Hospital, Texas Health Physicians Group – OB-GYN, Internal Medicine, Family Practice, and Dermatology. Sataira also attended Owens Community College in Perrysburg, OH, where she received her Associate of Applied Science in Criminal Justice. 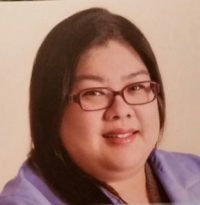 She joined the QuestCare family in December of 2017 and says, “it is an honor to serve the community by doing what I truly have a passion for; caring for people”. Alex joined QuestCare Urgent Care in the spring of 2018. He is originally from Tyler, TX and has degrees in business management and administration from the University of Texas at Tyler. 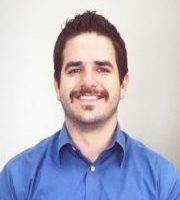 Alex enjoys helping patients throughout their registration process and assisting with any questions concerning insurance, payments, and/or billing.